It’s no secret that publishing company Paizo isn’t afraid of some tough competition. The company’s very existence is a bold stand against the weight behind the “Dungeons and Dragons” brand name. Add in a Pathfinder MMO that’s in development by Goblinworks, and you’ve got a company with a history of standing against industry giants. 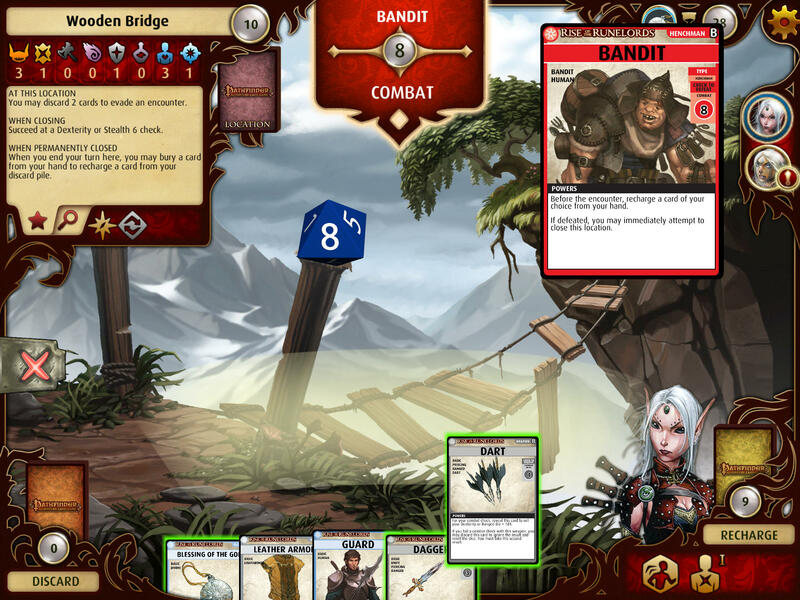 It should come as no surprise that Paizo is throwing its hat in ring in the world of online strategy card games. Competing with big names like Hearthstone and Magic the Gathering, Paizo has added it’s own twist… catering to a loyal following. Although it doesn’t carry the intricate complexities of its tabletop counterpart, the simplified version is perfect for mobile play in free time. Players will see familiar systems, classes, locations, and equipment. Add in support single players campaign and local multiplayer, and you’ve got a game worth trying out! Try it out and tell us what you thought! ← D&D Comic #1 (Free Online) — But Does it Deliver? Is it just me, or is this not the card game that is already quite successful, and it is just now being made available in an electronic format? Paizo has released three card games- Rise of the Runelords (RotR), Skull & Shackles, and Wrath of the Righteous, which all follow their successful Adventure Path line. This release is the digital version of the base set RotR, and can be played with both the Cleric and the Rogue. Successfully completing a scenario is worth 100 ‘gold’ (in-game currency), clearing a location is worth 5 ‘gold’, and each monster defeated is 1-2 gold. Using in-game gold, you may purchase additional classes or Adventure decks. Currently, Adventure Deck 1 is available to purchase with in-game gold or with real cash.